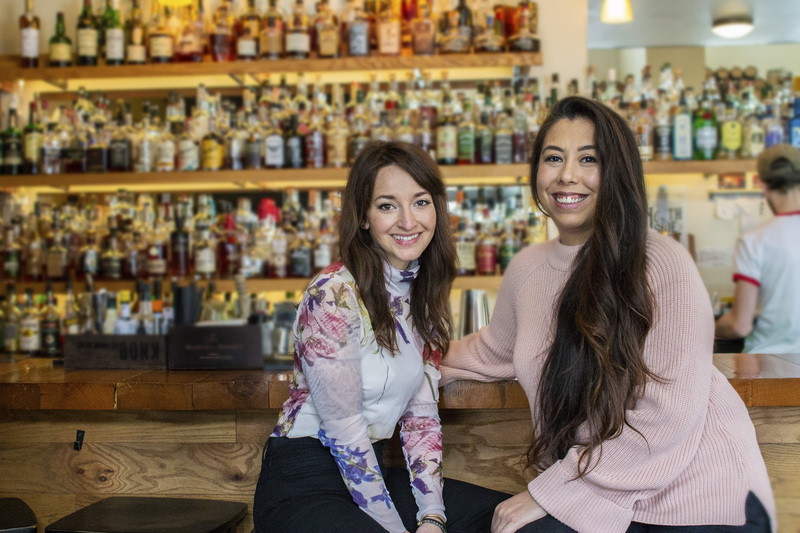 Hospitality veterans Julia Petiprin and Catherine Manabat join forces to open a craft cocktail bar. Julia Petiprin, one half of the founding duo behind apothecary-themed cocktail bar Sundry and Vice, has announced that she will leave the bar’s Circle Hospitality Group to open another bar a few blocks east in Over-the-Rhine. Petiprin has partnered with local mixologist Catherine Manabat to launch a new craft cocktail concept that will focus on rare spirits. The yet-to-be-named bar will stake its claim at one of the few remaining vacant corners in OTR at 1300 Walnut St., a 3CDC-managed property. Petiprin and Manabat hope to open their doors sometime in late spring or early summer. The bar’s curated beverage program will feature modern and classic cocktails with unique ingredients. The owners hope to make their handcrafted drinks approachable to guests by making the experience fun and transparent with a menu that removes the intimidation factor. For those looking to expand their cocktail knowledge, the bar will host a class series that will explore mixology techniques and ingredients. Originally from Los Angeles, Petiprin has 16 years of hospitality experience, including nearly four years as Sundry and Vice part owner and director of operations and design since it opened in May 2015. She is also an award-winning interior designer. Manabat moved to Cincinnati from Los Angeles more than 10 years ago and was responsible for Metropole’s acclaimed Sunday School cocktail classes. Most recently, she was a sales manager at Columbus-based Watershed Distillery.